Beyond the tails of the peacocks, the circumference is once more embellished with turquoise stones. Strikingly awesome! 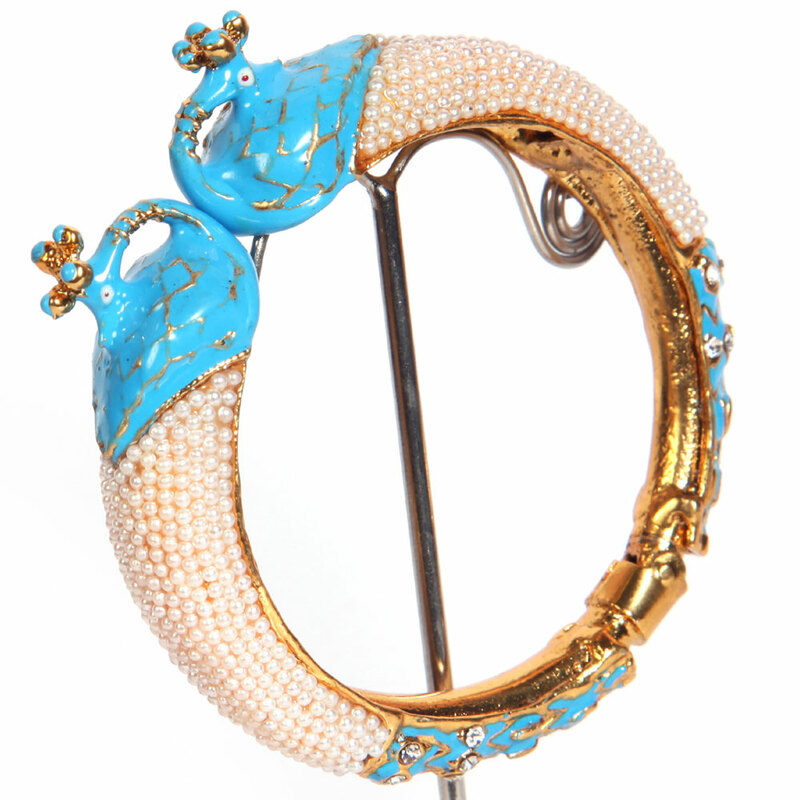 The light blue peacock heads featured in this designer bangle have been crafted with the help of turquoise stones, while the white tail Read More..is designed with the help of a dense collection of pearls. Beyond the tails of the peacocks, the circumference is again decorated with turquoise stones. Show Less..